We started our experience with a call over the phone. The salesman was courteous and attentive over the phone. We negotiated the deal in person in less than an hour. It was straight forward. We are very satisfied with our purchase and look forward to dealing with Star again. I’ve gotten two cars for Star used cars. Every time I’ve gone, called, or had a question Sean has helped without a problem. They’re trust worthy and their cars are reliable. I can’t see myself dealing with another dealership. I appreciate you all. Highly efficient and effective. Jemel managed to provide the inventory of our cars rather quickly. Decisions were made immediately. All sales people were ultra friendly. 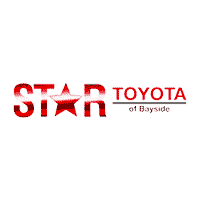 I've been leasing cars from bayside toyota for many years.. Rich Provenzano always makes it a comfortable and caring experience fo me and my family. Good service, good car, exhibition hall is too small, there is no customer rest area, service quality needs to be improved, there is no test drive service, these need to be strengthened, thank you! We bought our first car from star Toyota and the process was as easy as a piece cake. The employees were polite and helpful starting for the sales person to the finance person. We had a wonderful experience there and got a great car. Yang Lao provided a clear explanation and honest deal offering, giving fair price and providing the advantage and disadvantage of each increased items. He make me comfortable and trustable. Took care of all my needs in hours with insurance, plate transfer, registration and inspection. Got the hybrid I wanted and Jamel was providing exceptional service and attended to all my inquiries. Salesperson Jovonne was a straight shooter. Fair price on new vehicle and trade in. Would recommend this Toyota dealership to friends and family, Great location and good customer service.